The Austin Film Society is showcasing a selection of contemporary Portuguese films as part of their ongoing Essential Cinema series. These screenings will provide a rare opportunity for Austin’s American audiences to view notable Portuguese films at the theater, and will likely be a good draw for Portuguese-speaking folks living and working in Austin. 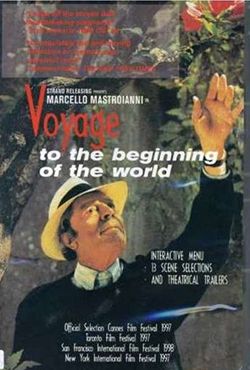 The series begins next Tuesday, April 13 with Voyage to the Beginning of the World and runs through May 11, when the series concludes with A Talking Picture. Screenings are $6 for the general public and free for Austin Film Society members, advanced tickets are recommended as Essential Cinema screenings are often full to capacity. Further details about the screening series are available here.